Exclusive! Take in the sweet scene as two adorable snow people find love in a winter wonderland. 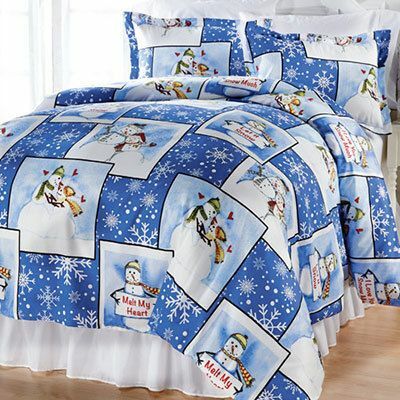 Snow People in Love Duvet Set is easy-care, super-soft polyester microfiber. Button closure. Machine wash. Imported. Hurry! Quantities are limited!